We all agree that brownies are sinfully delicious, right? Forget brownies for a sec, we are constantly looking for ways to spruce up a recipe. 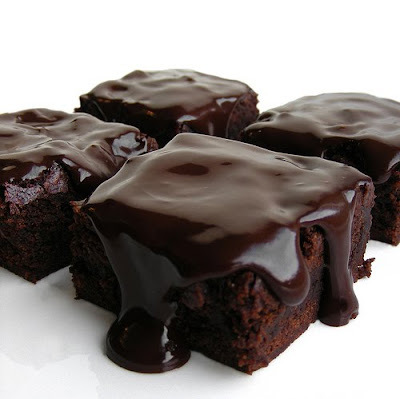 And here are few ways you can make your brownies better. 1. Add some salt - Toss some fleur de sel or salt into your brownies to get the extra crunch and the delightful salty-sweet combo. In fact, it is a good idea to always add some salt (about 1/4 of a teaspoon) while making sweet dishes. It brings out the whole flavor of the dessert. 2. Caffeinate them - Although coffee is not my most favorite flavor in the world, I have to agree when they say that a pinch of caffeine makes your chocolaty dessert light up. Add a tablespoon of strong, brewed coffee to the mix, and you'll enhance that rich chocolate flavor. For boxed mixes, swap in cooled coffee or espresso for water. 5. Spice it up! - Add about a teaspoon each of ground cinnamon powder to your dry ingredients and you'll have a brownie's ode to Mexican hot chocolate. 6. 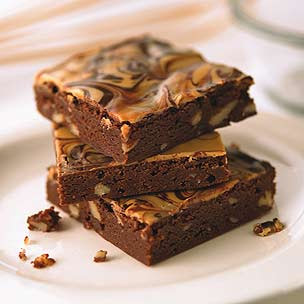 Make them into a cream sandwich - Bake your brownies in a shallow rimmed baking sheet and cut them using cookie cutters. Sandwich a scoop of ice cream , whipped cream, custard cream etc. in between two "cookies." 8. Top them them with condiments - Raspberry jam, marshmallow fluff, peanut butter, cream cheese... the swirl-in possibilities are endless. Warm the condiment first so it's more workable, then dollop spoonfuls of it on top of the prepared batter, which should already have been poured into your baking sheet. Lightly swirl the condiment using a toothpick or skewer--you want to see the shape at the surface of the batter. Lovely ideas. You have me drooling and wishing I can make some brownies now. Those are all very nice tips to 'zing ' the brownies.. Very interesting post Kavi. Looks delicious.Hey, I wanted to let you know that your blog does not load fast. It took me many tries to get to your blog. Just thought I would let you know. I really appreciate your tips to making different kinds of brownies from one recipe. Your photos are amazing. All of them look so moreish and scrumptious. Thanks for the tips! Wow..your space is awesome !! I am sooo impressed..you have so many sections and interesting info that I will be a regular out here..! So sorry for being soo late to reply..Sincerely apologise..